At Eastwood Dental our team is dedicated to providing you and your family the expert dental care that is patient centred with gentleness and professionalism. We're located in Eastwood, at Suite 6, 79-81 Rowe Street, click here for directions. We are dedicated to achieving the optimal dental health for the best long term benefits for our patients. Centred around our practice values of honesty, safety and empathy we hope to serve your specific dental needs, budget and lifestyle. Our committed team will ensure you receive the highest quality care and treatment with the use of the latest technology and materials available along with the highest standard of infection control at our premises. 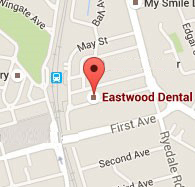 First time at Eastwood Dental? Learn more about the oral care you will experience at Eastwood Dental. On arrival, our receptionist will welcome you and ensure you’re comfortable while you wait for your dental practitioner.